Maclaren moves into nursery linen! Exciting times await as stroller royalty Maclaren launches its brand new linen range! The Maclaren Nursery Bedding collection is designed by the uber cool Maclaren Nursery Chief designer David Netto. His designs are set to delight both parents and children alike with bright bold colours and prints. Two collections are available. The Sea Coral Collection has a spectacular coral print in either azalea or jade lime. 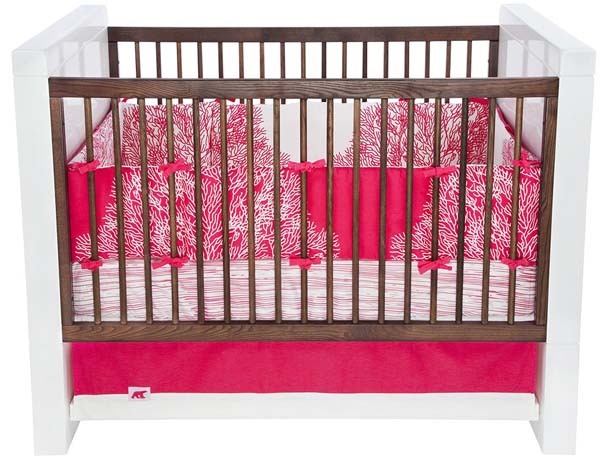 I’m a sucker for all things pink so naturally the coral print caught my eye and I think it will brighten any little girl’s bedroom beautifully. There’s also a Menagerie Collection showcasing traditional animals and their super cute footprints, available in spicy orange or bold mazarine blue colour options. You can expect the very best quality from Maclaren so we’d expect that these bedding sets are superbly soft for the newest of babies and will wash and wear beautifully. 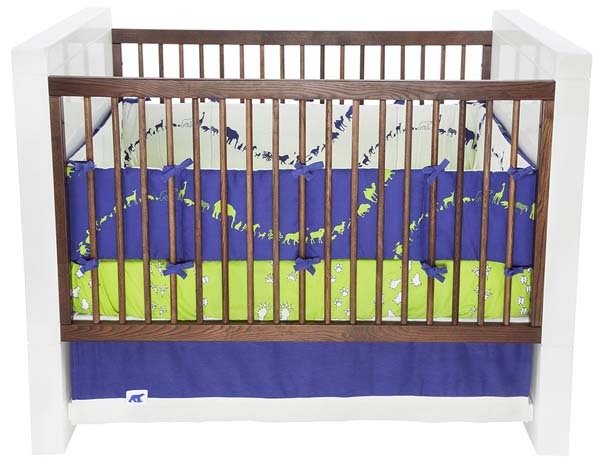 Both designs will add instant wow factor to the cot, no doubt about it! Check out the Maclaren Facebook page for international stockists who will be stocking the bedding. We hope to see them in Australia soon!